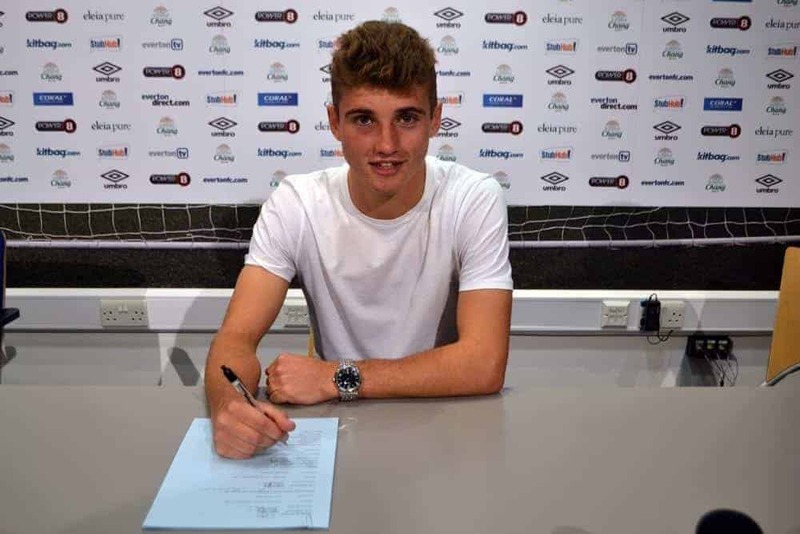 Ryan Ledson celebrated his 17th birthday by putting pen to paper on a new three-year-deal and has immediately set his sights on first team football. Another day to remember in what has already been a memorable year for the lad who has played for the club since the age of five. Ledson captained England Under-17’s to European Championship glory in May and Roberto Martinez has already touted him as being on the brink of Premier League involvement. He was close last season, after being named on the bench for Everton’s trip to St Mary’s against Southampton and the game against Manchester City at Goodison but now Ledson is focused on making the most of any opportunities which may come his way this season. He said: “”I’m delighted. I’ve been here since I was a young kid and this is what you strive towards. The day has finally come so I’m made up. “For me, it’s been 12 years of hard work at Everton Football Club to get to this day, but there is no better place to be and I’m absolutely over the moon.